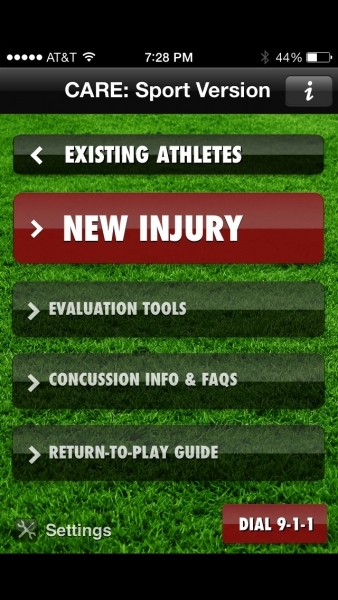 According to the CDC, the number of reported concussion has nearly doubled in the last decade. The American Academy of Pediatrics estimated a 200 percent increase in concussions reported among 14 to 19 year olds between 1997 to 2007. 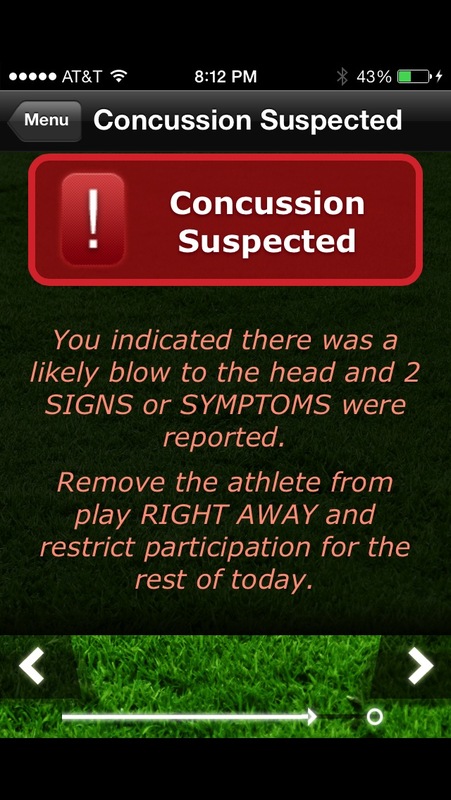 Concussion prevention and management remains a hot topic among both healthcare professionals and the public-at-large. 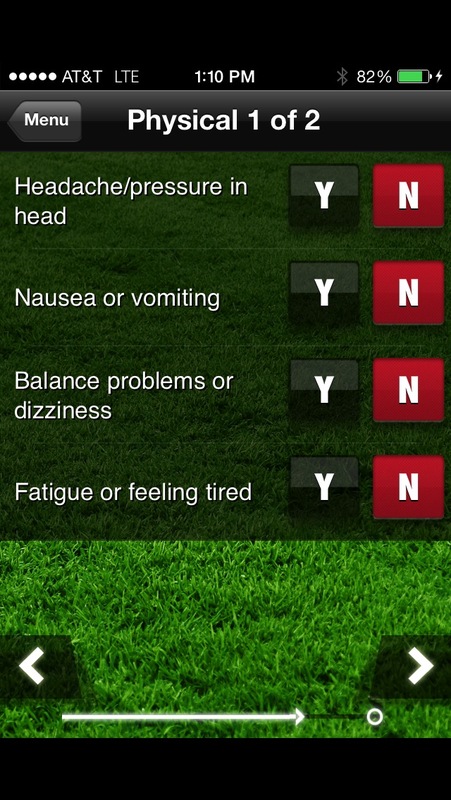 Based on a summation of recommendations from leading experts in concussion diagnosis and management, iMedicalApps identified the following features that should serve as the foundation of any concussion assessment app: graded symptoms checklist, cognitive testing, and balance testing. 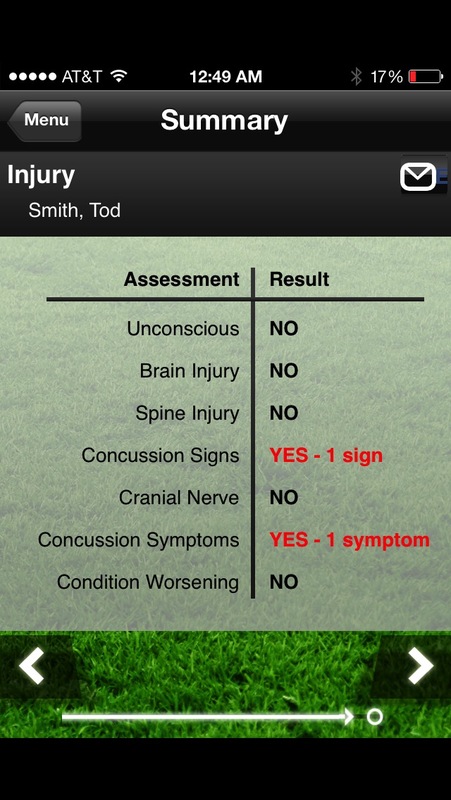 In a prior article iMedicalApps sifted through all concussion-related apps in the iTunes App Store and found only two. One was the Concussion Assessment & Response app and the other was the SCAT2 app. 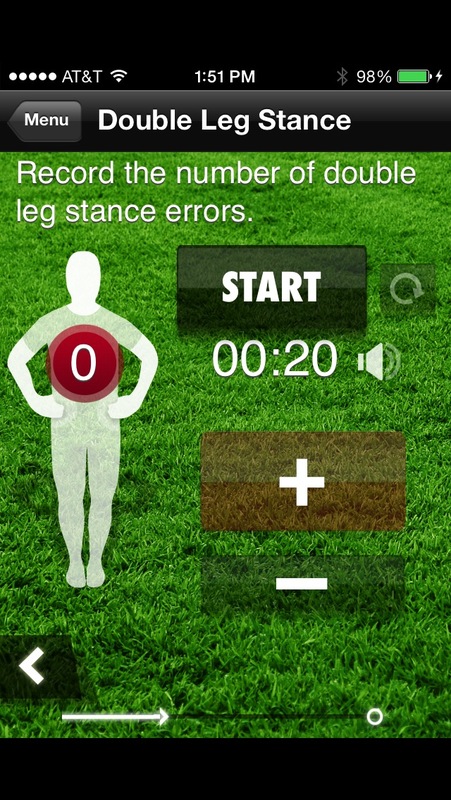 However, the SCAT2 app was recently turned non-operational and therefore will not be reviewed. 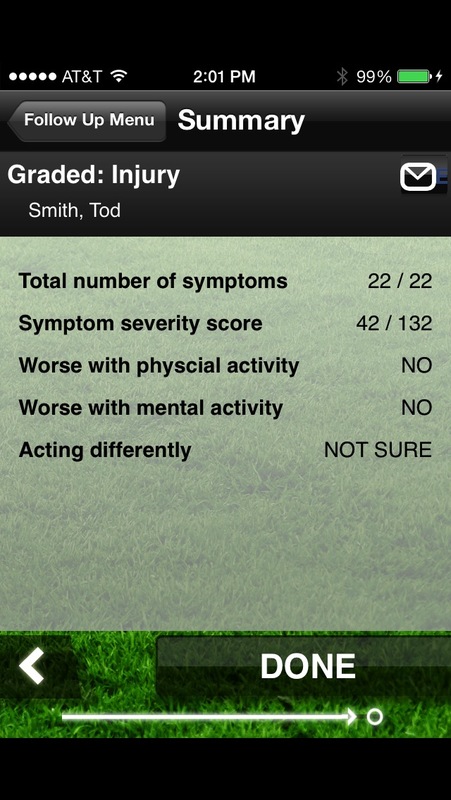 The following is a focused review of the Concussion Assessment & Response app. The initial screen allows the examiner to assess a new head injury, using the same process a physician would take on the sideline. If the examiner wants to look at prior concussion summary reports by athletes name, he or she can use the “existing athletes” tab. 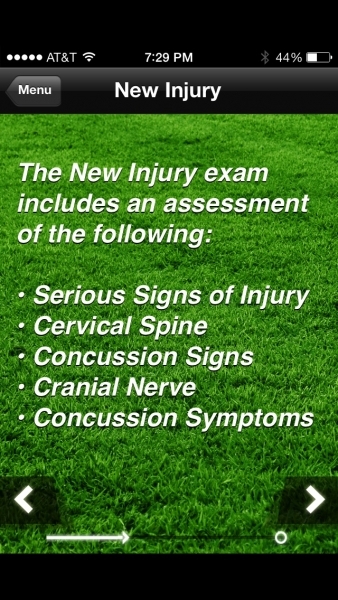 If the examiner wants to bypass the comprehensive assessment that is done using the “new injury” tab he or she can use the “evaluation tools” tab directly to access the important concussion tests that were mentioned in the introduction: BESS evaluation (balance testing), SAC exam (cognitive testing), and graded symptoms checklist. An interesting and vital feature on the home screen is the one click 9-1-1 call. 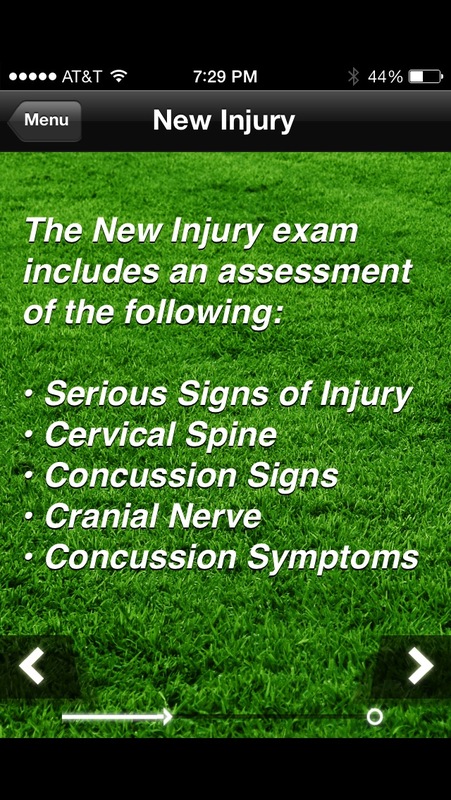 After selecting “new injury” the examiner goes through a series of questions that produce a quick, preliminary report of whether or not a concussion is suspected. The first set of questions address serious signs of injury, and if necessary the examiner will be prompted through step-by-step visual and audio CPR instructions for various scenarios – breathing with pulse, no breathing with no pulse, or pulse with no breathing. Next is a cervical spine exam that will tell you whether or not a cervical spine injury is suspected and if you need to stabilize the neck and await EMS support or can proceed with the evaluation without cervical spine injury precautions. 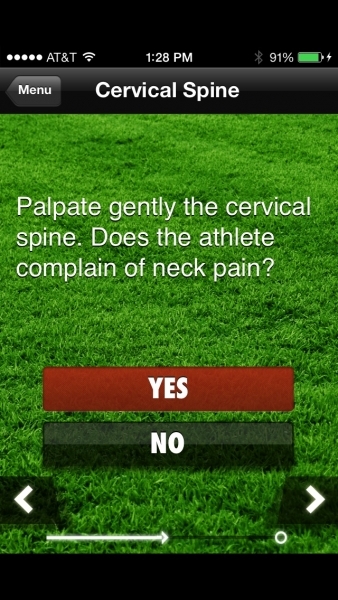 If the athlete passes the cervical spine check, you are prompted through a series of concussion signs and symptoms and cranial nerve questions. After all of these questions have been answered, a preliminary summary is produced and can be emailed. 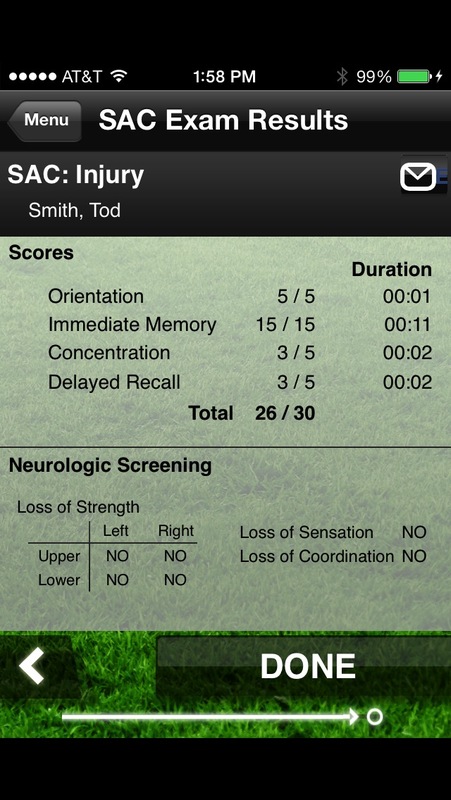 After the summary report is created, whether or not a concussion is suspected, you can proceed with a more in depth evaluation by performing a Balance Error Scoring System (BESS), a Standardized Assessment of Concussion (SAC), and graded symptoms checklist. 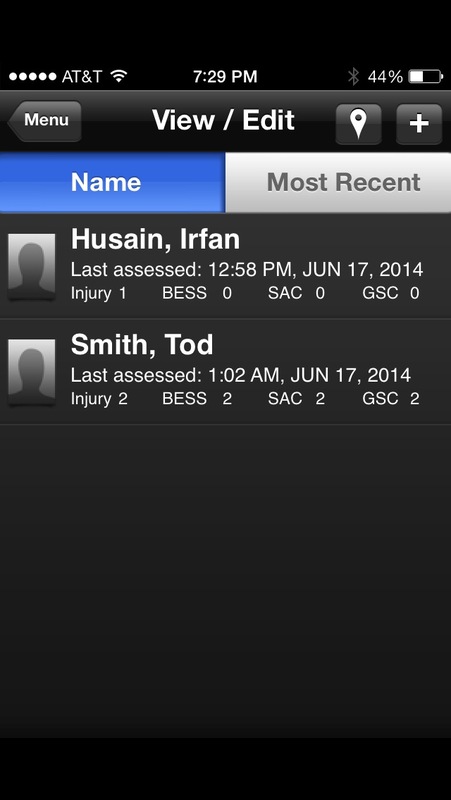 After each test a summary report is produced, which can be emailed or saved in the app by the athletes name. 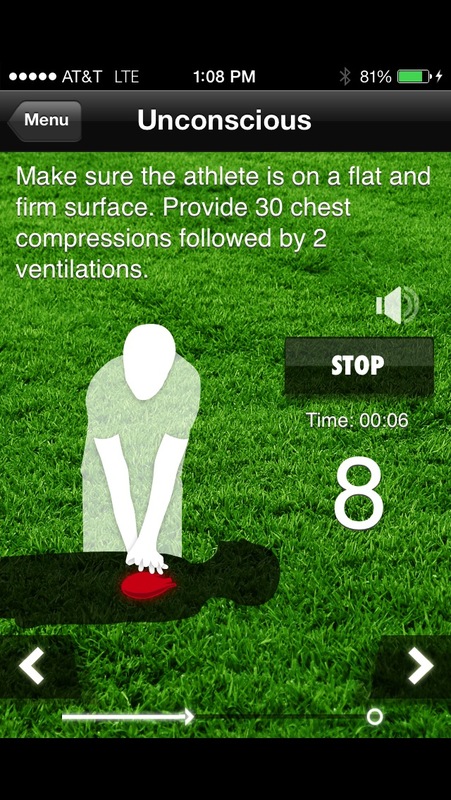 A lot of emphasis is placed on identifying serious signs of injury, as well as providing CPR cues. Contains a graded symptoms checklist, balance testing, and cognitive testing. 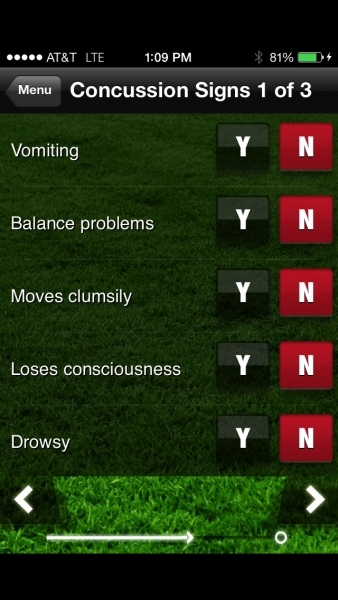 Able to categorize the tests as baseline, injury, post-game, or recovery. 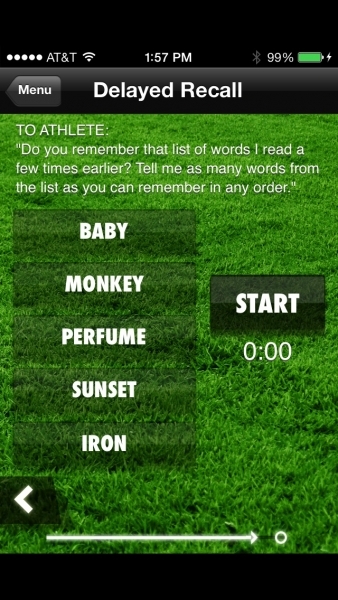 Able to email or save results. 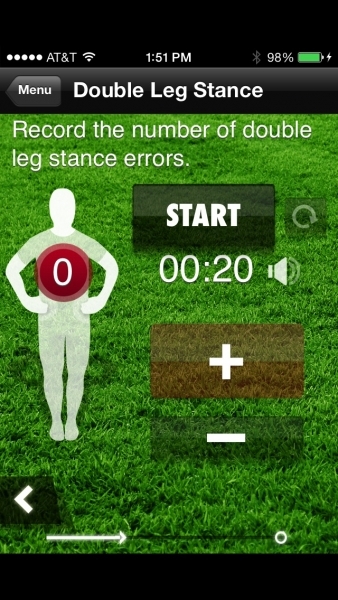 A profile is created for each athlete that contains basic demographic information and an organized collection of all the time-stamped summary reports for every test conducted on the athlete. Visual graphics help detail instructions. Unfortunately no password protection is provided when accessing patient profile information or for the email feature. There is no “cloud” backup feature. So unless you email every concussion assessment to yourself, you are out of luck if you happen to lose your phone. There is no notes section available. A notes section would be ideal to add extra pertinent information for each patient. 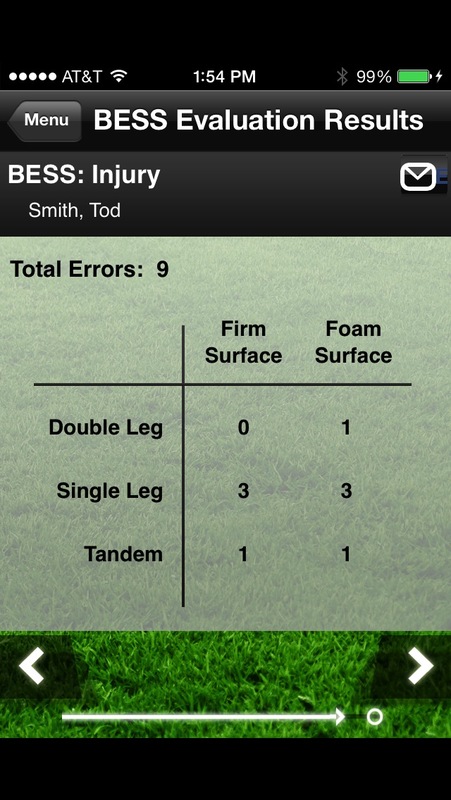 Emailed reports do not contain the gps location of where the assessment or injury took place. The Concussion Assessment & Response Sport Version app is user friendly and allows an individual with minimal medical background to conduct a concussion screening through a decision-tree like model of questioning. 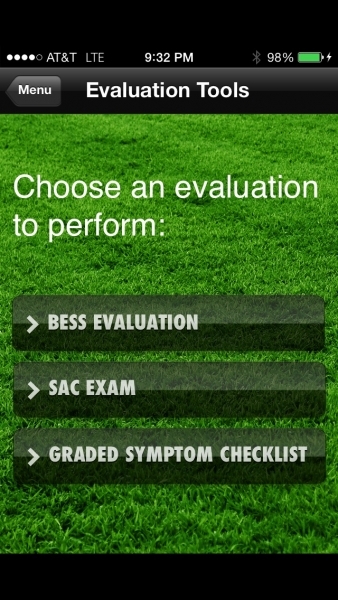 Besides the SCAT2 app which is currently nonfunctional, this is the only app that provides a detailed comprehensive screening containing the following essential features: graded symptoms checklist, cognitive testing, balance testing, ability to establish a baseline score, serial evaluations, and information sharing capability. 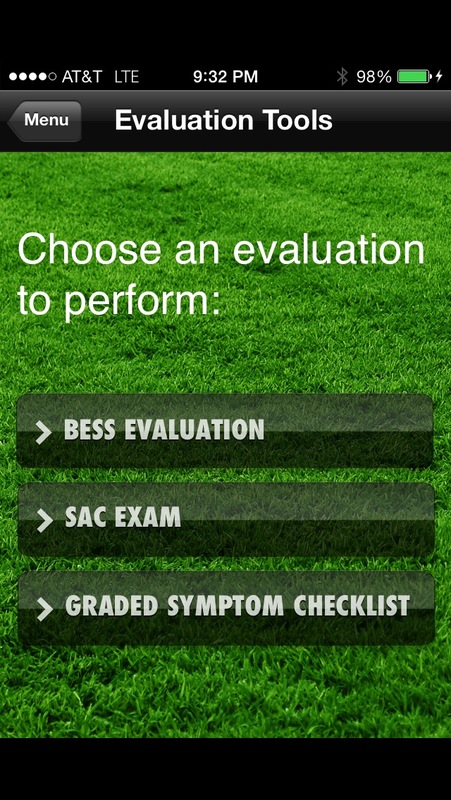 However, if and when SCAT3 is developed, it will likely be the preferred app. 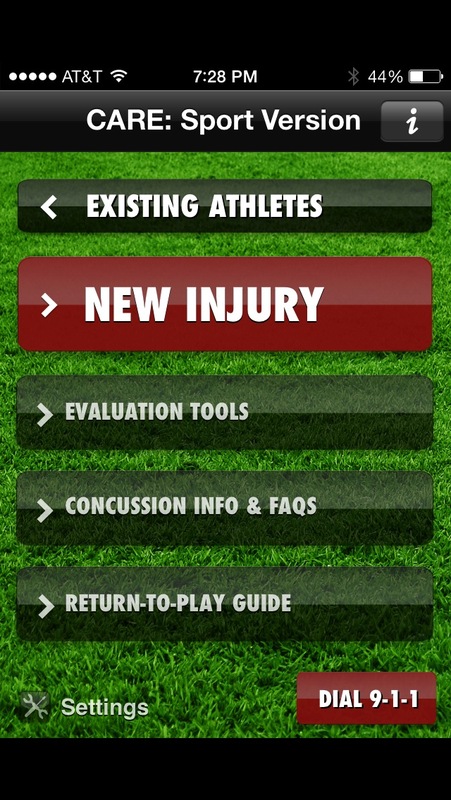 Some unique features to take advantage of include CPR cues, injury and assessment mapping, and well organized athlete profiles to improve patient management. Developer: Psychological Assessment Resources Inc. in conjunction with concussion experts Jason Mihalik, PhD, Assistant Professor at the Matthew A. Gfeller Sport-Related Traumatic Brain Injury Research Center at the University of North Carolina, Chapel Hill and Gerard A. Gioia, PhD, Director of the Division of Pediatric Neuropsychology at the Children’s National Medical Center in Washington, DC. Easy to use and navigate. Step-by-step instructions. Provides visual tools along with instructions . Great visual CPR cues. 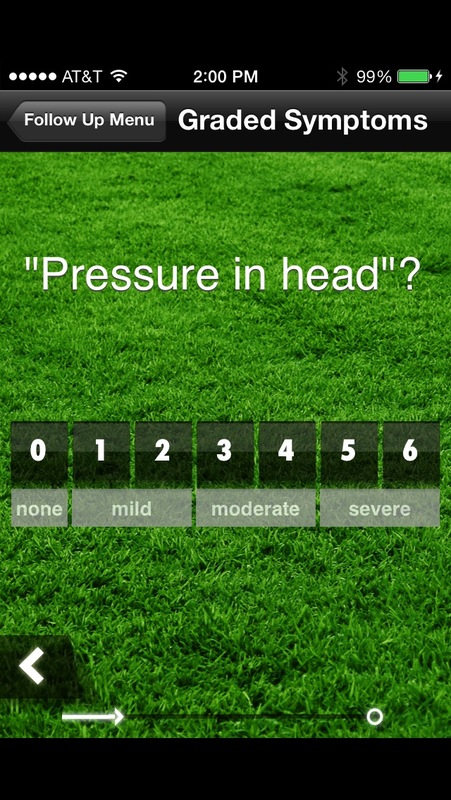 Great tool for healthcare professionals to assess head trauma in an acute setting and to monitor patients overtime who participate in sports activities and are susceptible to head injuries.